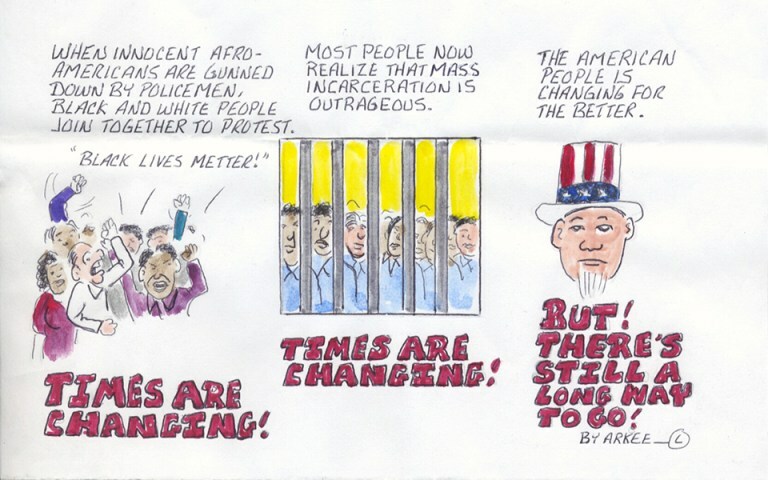 Description FREE ALABAMA MOVEMENT is founded for, and dedicated to supporting Alabama Prisoners' Non-Violent and Peaceful Protest for Civil and Human Rights (NVPPC & HR). As men and women in Alabama's Department of Corrections, it is time for us to recognize and admit to the fact that this system of dysfunction, incompetence, irrelevance, and inhumanity, which cannot and does not serve any purpose towards our rehabilitation and preparing us to make a successful transition and re-entry back into society. The current ADOC system, steeped in "tough on crime" policies of the 1980's, currently houses close to 32,000 people in an infrastructure that is designed to house only 16,000. Of this 32,000, 80% will enter and leave prison classified as functionally illiterate, accompanied by an 80% recidivist rate. Some are first-time offenders, some were as young as 14, 15 or 16 when their crimes were committed, and others, who weren't guilty of a serious offense, are clearly self-rehabilitated and deserving of another opportunity at life. Yet, because of an outdated prison model, an equally dysfunctional sentencing and parole system, or because of misapplied sentences of Life or Life Without Parole, many undeserving people are languishing in prison waiting on death or the next rumor of "the law is about to change". The end result is a prison-slave operation that is the most overcrowded in the United States at 200%; is under-staffed and over-populate by men and women who have served extended periods of incarceration (some as much as 20, 25, 30 or 40-plus years), with no hope of ever returning back to society and their families! Or, for those who do hope to one day return home, for the most part they will be totally unprepared to make a successful re-entry - as evidenced by the 80% recidivism rate. The law will allow for legal discrimination against them in housing, business, education and social benefits. The ADOC, focused solely on security and Free Labor, with only the pretense of being about rehabilitation, continues to hold prisoners for 20-plus years, but without the ability to rehabilitate [80% illiteracy, 80% recidivism ], and is in no way a Department of Corrections, but instead, a Department that Needs Correcting !!! No other corporation - not even Fannie Mae and Fannie Mac - could continue to exist without a major overhaul if it were funded with billions in taxpayer dollars, with an 80% failure/ recidivist rate. 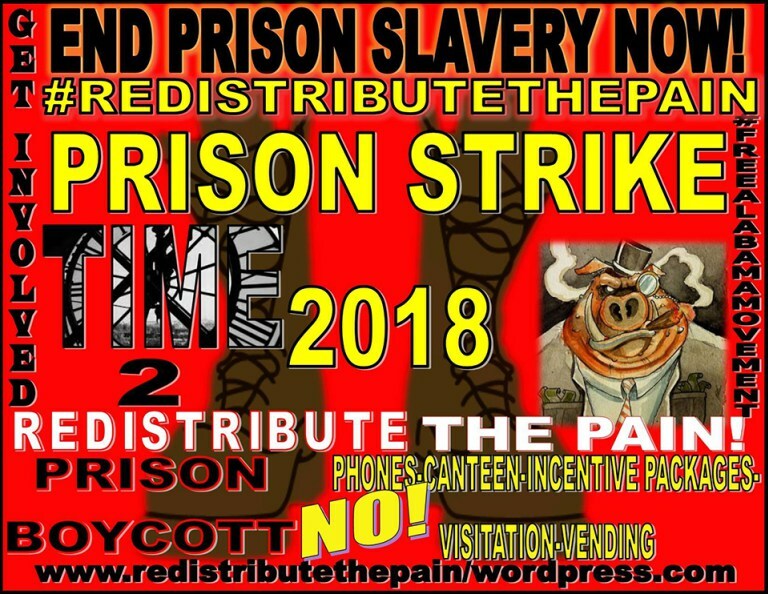 Bennu Hannibal Ra-Sun writes about how the “Redistribute the Pain” prison boycott initiative can help to build up movement infrastructure. This article first appeared in the San Francisco Bay View, and readers who find it useful may wish to donate to help keep the Bay View in print. Bennu Hannibal Ra-Sun expands further on the Free AlabamaSF BAYVIEW Movement’s strategy for 2018, and discusses the connections between prison struggles and outside movements such as the revolt against police violence. This article first appeared in the San Francisco Bay View. Bennu Hannibal Ra-Sun discusses the Free Alabama Movement’s strategy for 2018, and mentions some of the repression that has been employed against prison organizers.